Which statement is correct about the command shown? A. The output can be copied to an external destination with a supported protocol. B. The show version command would provide more information and configuration information. C. The command and its output can only be used on the UCS system. Which is the proper fan and power configuration for a Cisco 5108 Chassis? Which of the following is correct regarding full-state backups? A. The vmNICS physical NIC is used for uplink ports. B. The vNICS virtual NIC port is used for virtual machine. C. The vmNICs virtual NIC port is used for virtual machine. Which statement regarding high availability in the Cisco UCS is correct? A. A node is one of the two (2) CMCs. C. A group is a set of four (4) nodes. D. Each group is identified by a floating node ID. Which connection type is available on a virtual switch? A. Configurations completed via this page can not be changed. B. Only two vNICs and two vHBAs can be created. 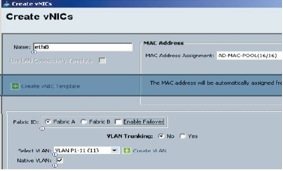 C. Two VLANs can be configured on this page, but one must be the default VLAN. D. This is where you enable VLAN trunking. Which benefit is provided by Ethernet enhancements in the Cisco UCS?